This belt is 45mm (1¾″) wide and made from high quality Italian leather. 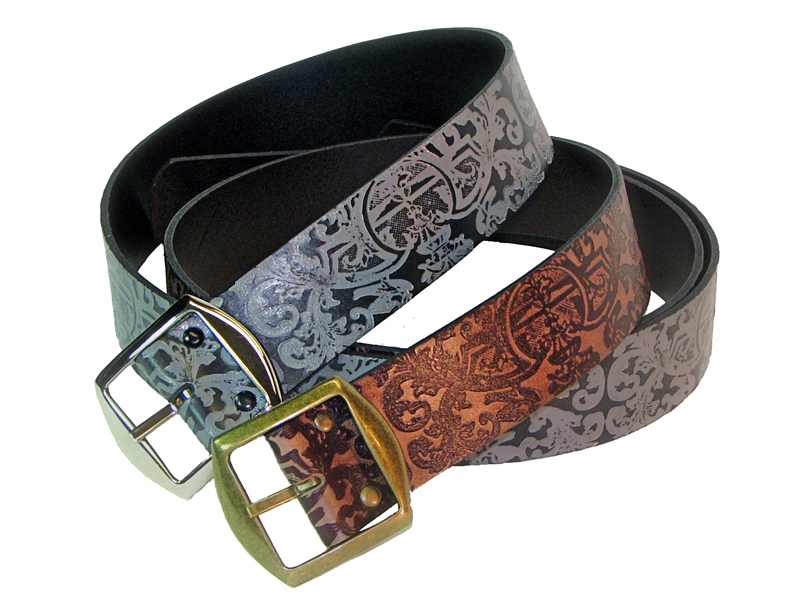 It has an italianate embossed leather strap that has been sanded to reveal the pattern. It has double buckle with rounded sides.